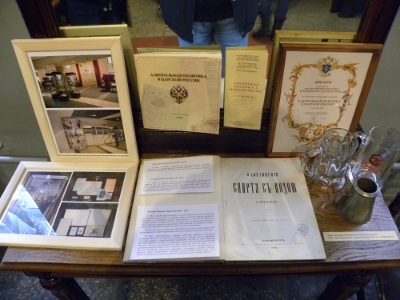 The Metrology Museum of VNIIM inaugurated the exhibition dedicated to the participation of the Institute in the events to celebrate the World Metrology Day of the 20th of May, 2011. Among the exhibits there is the Gold Medal awarded to VNIIM by the All-Russia Exhibition “Metrology-2010” held in Moscow last year for the development of the transportable standard of the particles mass concentration unit in aerodisperse media. Exhibited are also documents related to the activities of the Technical Committee of the Ministry of Finance performed by such outstanding Russian metrologists as A.Y. Kupfer, V.S. Glukhov, D.I. Mendeleyev. The material of the exhibition relate their contribution for the development of the domestic alcoholometry and for the implementation of the excise system in Russia (see DPhil theses of D.I. Mendeleyev “On combination of alcohol with water” (1865). 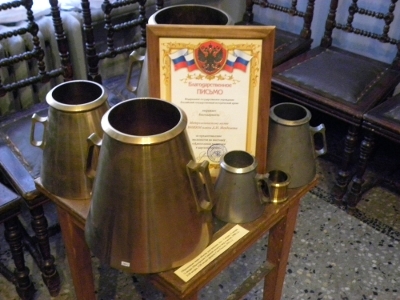 The exhibition displays also a number of alkoholometers fabricated in different years verified by the Main Chamber of Measures and Weights, a set of measures of volume for liquids (XIX century) and other interesting artifacts. 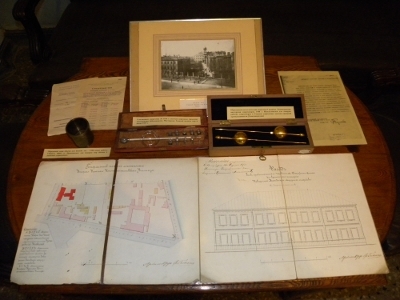 On the 20th of May 2011 the exhibition will be supplemented with new materials, including those dedicated to the outstanding Russian chemist Prof. N.D. Zelinsky.